G Adventures is introducing three new itineraries in Norway on board its expedition ship, G Expedition, in May 2017, following consumer demand for cruises in the area. The adventure operator is also offering a 15 per cent early booking bonus for these trips, as well as all other 2017 Longyearbyen and Svalbard itineraries, to encourage travellers to book early and secure their preferred itinerary, date and cabin category. "Norway has long been popular with travellers from New Zealand and Australia because of the stunning natural wonders the country has to offer. On board the G Expedition travellers have the benefit of seeing the fjords in comfort, with G Adventures' team of expert expedition guides there to provide a greater understanding of the nature and wildlife in the area." "It is a stunning part of the world, and perfectly fitted for expedition cruising. With these new itineraries travellers have even more ways to explore Norway." The early booking discount is valid for all bookings made before June 30, 2016 and applies to all Norwegian and Artic itineraries departing between May 11, 2017 and August 11, 2017. - Cruise the Norwegian Fjords – Tromsø to Bergen - Venture into the magical and mysterious lands along the coast of the Norwegian Sea for close encounters with glaciers and fjordscapes. Perfect for explorers long on ambition but short on time, this eight-day expedition brings travellers to important sites of Norway's ancient history, UNESCO-protected historic sites, and incredible nature. Was priced from $2,999pp now priced from $2,549 for an eight-day trip from Tromsø to Bergen. - Scottish Highlands and Norwegian Fjords - Go deeper into the otherworldly fjords of Norway on this unique journey through the Norwegian Sea. Discover UNESCO-protected wonders like the Standing Stones of Stennes, the mystical Ring of Brodgar, witness the curious clash of cultures in the Shetland Islands, and marvel at the stunning forests and waterfalls that line the fjords. Was priced from $5,199pp, now priced from $4,419pp for a 14-day trip from Edinburgh to Tromsø. 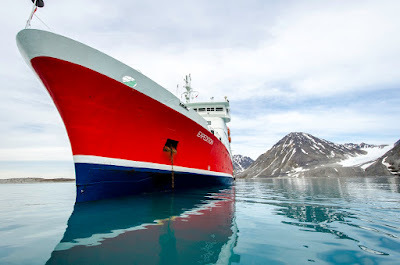 - Norwegian Fjords and Polar Bears of Spitsbergen - Set sail from Bergen – the gateway to Norway's fjords – to the remote shores of Svalbard on this odyssey across the Norwegian Sea. Walk across the glaciers that carved the stunning landscapes, explore subarctic islands by Zodiac in search of polar bears, and walk through history at UNESCO-protected historical sites. Was priced from $6,299pp, now priced from $5,354pp for a 15-day trip from Bergen to Longyearbyen.